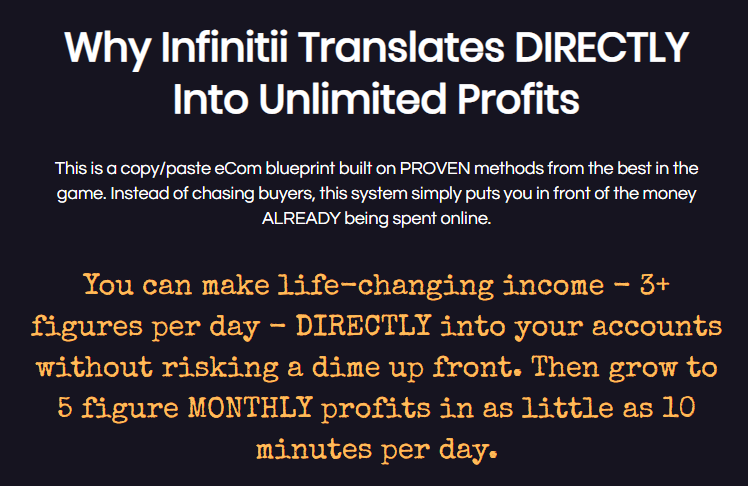 Infinitii Review – Infinite Income Scam or Not? We all want infinite income right? Actually, what does that even mean? Never ending income I suppose - well sounds good to me. So is this going to make you a small fortune overnight or is it just another infinite income scam? Honestly I have resisted reviewing other programs to this point as my #1 proven recommendation for making money online is Wealthy Affiliate. But as I had Facebook requests for my opinion on this program I have now reviewed it, as well as read about 20 other online reviews about this program (some for it and some against) and can share my thoughts. What Actually Is It and How Do You Make Money? Yes let's not beat around the bush here let me get straight down to business. Infinitii is promoted as a “brand new method including the automated software” which allows you to turn $1 into $5, $10 or well as much as you want really and it will do it all day every day. Starting to sound scammy to you? Yeah maybe, but hang on. I wouldn’t go so far as to say it was a brand new method, because the method is simply e-commerce but on a small, some might say micro-niche scale. Basically you build a niche e-commerce business, which I wouldn’t think was all that startlingly new, but Infinitii has their own proprietary shop building software which does come included in the $12.95 price tag, so I suppose that is new. What I don’t like right from the first viewing of the sales page is the hype and what I consider to be over-inflated income designed to make you think you will also be earning that sort of income within 24 hours of paying them your money. ​​As shown above this leads you to believe you can set up your e-comm shop and earn $717 the very first day. This is simply not how the internet works. E-Commerce is notoriously difficult to get ranked in Google and a tiny micro-niche shop, in my opinion, has very little chance of being seen by buyers ever and particularly not within the first 24 hours. 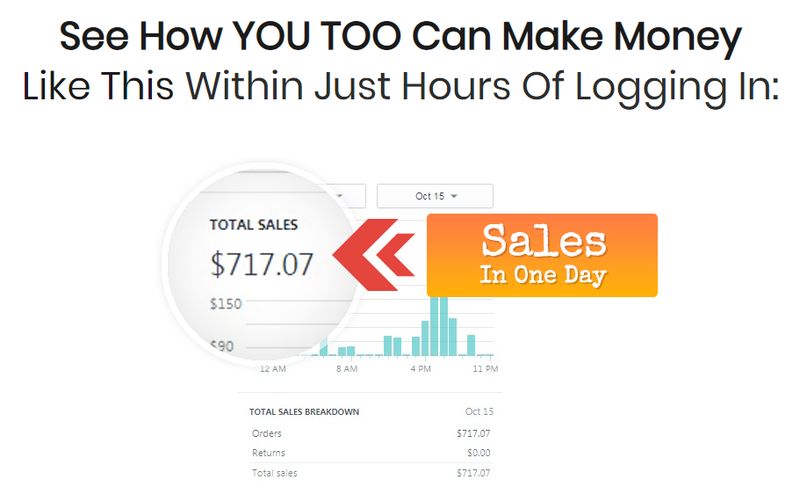 Terms like “closely-guarded secret”, “profit within 24 hours”, “push-button software”. All these terms are designed to make you believe that with very little effort and some sort of super duper secret that you will only pay $12.95 for you will be rolling in money within the first 24 hours. By pricing their product so low many people will jump at the chance to possibly earn online and that’s where the real money is, for the owners not you. As part of the package you get access to the member's site where you can watch a total of about 37 minutes of training! Yep 37 minutes covers everything you need to know on how to build the e-commerce shop and bring in traffic who will be falling all over themselves to buy the products you are marketing. Honestly if it were that simple to make "life-changing income" don’t you think every man and his dog would be building e-commerce shops and making a squillion dollars. And if they were would they be telling you? If you really want to learn how to make money online you need Wealthy Affiliate University. Their training is more comprehensive than anything else I have seen online. Just one of the weekly 1 hour webinars will teach you more than the 37 minutes of video you get with Infinitii. They cover every single step you need to build an affiliate marketing business in the niche area of your choice, how to honestly and ethically build a long term passive income site and how to scale it up systematically when you are ready. As always don’t take my word for it you can take Wealthy Affiliate's training for a test run without paying a cent with access to the first 10 lessons for free. Check out my Ultimate How To Affiliate Marketing Guide for all the details. OK Infinitii has 5 upsells in total which rings alarm bells to me. So what the package actually costs you is $467.95 but that wouldn’t be nearly as enticing as $12.95 now would it! So what extra things can you buy? Because the training is not completely thorough many newbies will need additional assistance to set up campaigns that actually work to drive buyers to their stores. And here’s where Upsell #1 come in. You can pay Mosh & Jason to give you they're Done For You campaigns. And of course they are “proven” and you can then model the results and get great results for your new site. This is for the newbies who have additional money to part with and who get too overwhelmed by the whole set up process you can pay again and have your shop completely set up for you and ready to bring in the money. Personally I never recommend this course of action because you’ve missed the crucial basics about your business as someone else has done all the hard work for you. 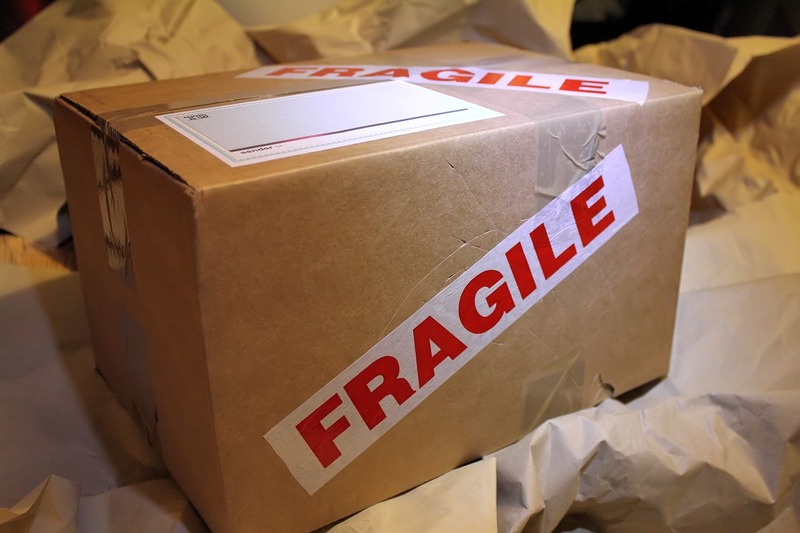 You have no idea how your business actually works or how to maintain it when you buy an "out of the box" product. Online businesses consist generally of websites, whether that be blogs or e-commerce shops and they all require ongoing maintenance. Either new products to add, old ones to remove, new blogs to be written, new offers to add. Online businesses do bring in passive income but they also do require some maintenance once established. Are you going to continue to pay someone to do this for you? How much of your profits are you going to pay out just to keep your business running? It is much better for your ongoing bottom line to learn your business from the ground up and be able to run it yourself. Yes you may need a helping hand to set them up, and by all means engage someone to work with you to get your business set up the very best way possible but don’t just pay and for a Done For You Online businesses. With this one you can buy their advanced tactics so your site can sell even faster (what faster than 24 hours!!) and you can scale your income (wow more than $10,000 a month!!). Cause that’s what they promised in the first part of the web page sales pitch. Now obviously if you have got this far and bought the first 2 upsells you really need to get your money back fast so this might seem like another good idea, after all what’s another $47 dollars hey! ​Yep more upgrades (otherwise known as upsells) with #4 you get more training which shows you how to automate the process by outsourcing everything. Let me tell you from experience that outsourcing is expensive! As anyone new to online marketing will understand you only have two commodities time and money. You can do the work yourself and keep your money in your pocket OR you can pay someone else to do what you could be doing and have more time but no money! Don’t get me wrong I am not against outsourcing once your business gets to a point that it is making you the money you want. By all means then plough that money back into your business and outsource work. But I do not recommend it as a viable tactic for anyone new to online business. What a surprise yes you too can sell Infinitii with all the rights associated with the program and you get to keep 100% of the funnel revenue for yourself. Affiliate Program or Multi-Level Marketing? As I said in Upsell 5 you basically buy the right to then onsell Infinitii to other unsuspecting people who simply want to start earning an honest income online. Which as I said while the basic training is worth little more than $12.95 it is not completely without merit but I really can’t see newbies earning a full-time wage with this product and to promote it as such seems plain wrong. Further to that, any worthwhile affiliate program will not charge you to re-sell their products. Affiliate partners are happy to have you promote their products and will, in fact, pay you a commission if you do sell their product - not the other way round. With upgrade #5 Infinitii pushes itself into the Multi-Level Marketing space where you have to buy products to be able to onsell them and honestly that’s no cool. There are so many products out there you can market without having to buy them first why would you go down that track? I honestly don’t believe this is a great choice for those new to making money online. The training is simply not thorough enough for you to have an understanding of the system and how it works. There are gaps in the training which encourage you to have to go with the upsells and for my money that’s not kosher. You will be left in the dark and while you would have only lost $12.95 (assuming you don’t fork out your hard earned cash on the upsells) you will have lost time you could have spent starting a worthwhile passive income business. In my experience, the claims of instant income are never backed up and can’t be replicated by beginners. By using those sort of tactics to lure in unsuspecting people they have lost my vote of confidence. If you are sick of scams and just want to build an honest, long-term, ethical business online then check out my Guide learn how to make money online the right way. If you have used Infinitii and would like to share your personal experience or as always if you have any questions about making money online I’d love to hear from you in the comment box below. Good point of pointing out another example of shady marketing and promotions which overpromises and underdelivers. Any worthwhile program will be totally transparent of the realities of what it takes to succeed online or in business in general. There are too many of these fake programs around. Thanks for the heads up. Unfortunately this isn’t the worst I’ve seen by a long shot Joseph. The longer I am in this business the more unbelievable claims I am seeing. Honestly, it breaks my heart to think so many people are being scammed out of their money when all they want it a legitimate way to earn a bit extra. The wild claims of earning thousands of $$ a day online with no experience and within ridiculously short amounts of time are simply setting people up with unrealistic expectations and to fail. Hopefully this review will help some to make an informed decision. Thanks for stopping by. Wow, 37 minutes of training !! That’s absurd & on top of that claims, that you will start earning from day one. These are clear indications to stay away from this program. Hope the newbies do a thorough research before signing up. Hi Shobhana yes indeed, now some may look at that and say well it must be super simple to set up if it only takes 37 minutes of training, but unfortunately that isn’t true. In my experience newbies to affiliate marketing need all the help they can get, otherwise, it all gets too hard and they fail. It really is very simple to build a profitable online business, without the scams, if you have the right step by step training. I know anyone can do it, because I’ve seen so many be successful, people from all walks of life and with all levels of computer skills.